One of our crew chiefs extracts water from a business that had water damage! The last thing any small business owner wants is to discover they have water damage. Because they’re working with finite resources, it can be difficult to spend time and money on an unexpected issue. It’s even worse when it affects operations. If you’re a small business owner and want to mitigate the impact of potential water damage, it’s a good idea to know exactly how you should address it. The more water involved, the longer it will take to restore. Your local disaster restoration company can’t begin the drying process until the water source is no longer an issue. Call your local disaster restoration company. More than likely, you’re going to need help, and the best people to call are your local disaster restoration professionals. Upon arrival, they will extract water (if necessary) and complete any required steps before they begin the drying process. They will walk you through the process and make sure you can be operational as soon as possible! Call your insurance agent. Water damages can be expensive, so if you’re adequately covered by your insurance, be sure to call them and make a claim. This is can potentially reduce your out-of-pocket expenses and help you get back on track much quicker! Begin removing excess water from the building. When it comes to water damage, time is of the essence. The longer water is left alone, the more likely you’ll have mold growth and structural damages. That’s why—even though your local disaster restoration company is on the way—it’s vital that you begin extracting excess water as soon as possible. Once help arrives, you’ll be able to turn it over to them to finish! Fires can be destructive, but they can often be prevented! Fires can be both destructive and stressful. While some fires are out of your control, in many cases they can be prevented. As fire damage cleanup experts, we’ve seen countless fires and have learned some ways to prevent them. Keep heat sources away from flammable objects. Especially in the winter, we often hear about space heaters or candles that start destructive fires. In nearly all cases, these objects were left too close to flammable objects. It’s recommended that you keep these objects at least 3 feet apart! Never smoke indoors. Although we are not advocating for smoking in the first place, if you do smoke, never do so indoors. 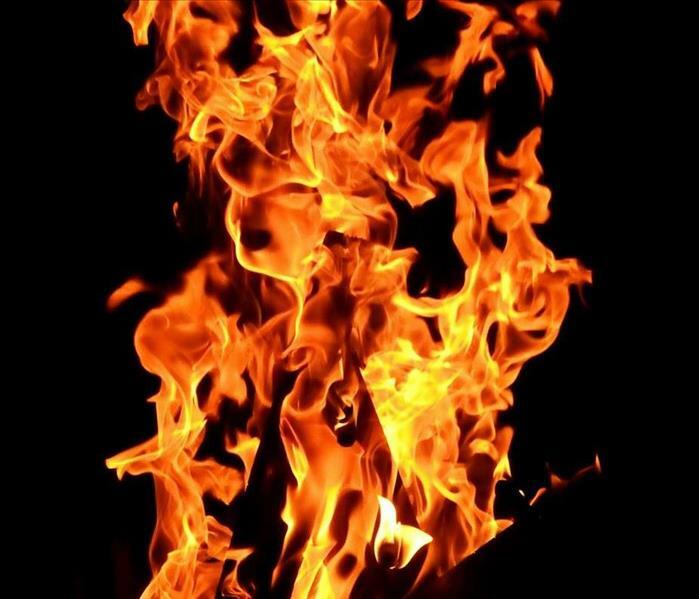 In fact, smoking-related fires were the leading cause of home fire deaths from 2012-2016, according to the National Fire Protection Association. Regardless, you should always dispose of smoking materials in water and ensure it is no longer lit. Replace frayed wires. While many people tend to use wires until they stop functioning, it’s important to address any signs of fraying. Heat from exposed wires have the potential to start a fire, so be sure to replace them as necessary. They say an ounce of prevention is worth a pound of cure. Due to the physical and emotional costs a fire can create, being aware of how to prevent fires is important. But if you do have a fire, know that SERVPRO of Alexander & Caldwell Counties is here! 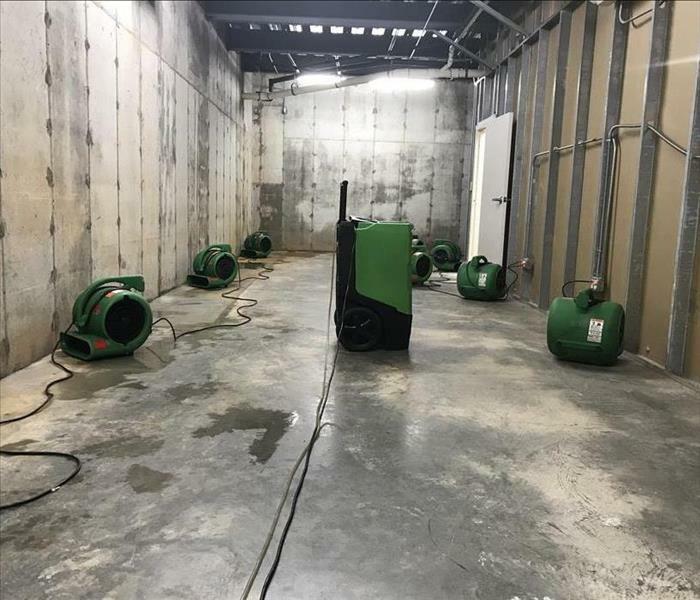 Customers tend to have a lot of questions about the water damage restoration process, especially when it comes to our equipment! Nobody plans to have their home or business damaged by a burst pipe or an appliance leak. That’s why many of our customers are completely unprepared for the steps that follow. If you have water damage, below are some frequently asked questions (FAQ). One of the first things people want to know is how long it will take to fully extract and dry any water damage. There are several factors that can affect the mitigation process, but you can expect anywhere from one to several days. Our technicians check on the status of your property daily to ensure drying goals are being met. I don’t see the water. How do you know it is wet? Because water makes its way into porous materials, it’s sometimes difficult to tell if an area is completely dry. For example, water tends to wick up the backs of walls where it can’t be seen. So in order to ensure our technicians have completely dried your home, they will use a device known as a moisture meter. This device reads the relative moisture levels of an affected area to inform the technician whether or not they’ve achieved the necessary drying goals. Why do you cut out parts of my wall? In situations where the water is highly contaminated or if there are signs of wicking, it’s necessary to cut out sections of affected walls to treat and dry the wet materials so we can prevent mold growth and structural damage. In general, we will cut at least 12 inches from the base of the wall, but in some cases, we may have to cut out more. We cut in 1-foot intervals because it is easier to replace a foot of drywall than it is to replace a few inches. Can I turn off the air movers and/or dehumidifiers? They are loud. Unfortunately, our equipment can be noisy, but they should not be moved or turned off for any period of time except in the event of an emergency. Turning off our equipment slows down the drying process and increases the chance of mold and structural damage. Who pays for the electricity your equipment uses? Our equipment requires power to operate, which means we generally have to tap into your power. Unfortunately, we are not liable for any increase in your electricity bill as a result of our services. However, if your insurance is paying for the work, you may ask them if they will cover electricity usage as well! If you have any other questions that weren’t answered above, please feel free to call our office at (828) 396-1070! Our duct cleaning professionals are here to help! Most people know that it’s a good idea to clean your HVAC system (at a minimum of every 3 to 5 years, according to the National Air Duct Cleaners Association). Over time, air ducts accrue a buildup of dust, dirt, and other contaminants, which can diminish air quality and negatively affect the performance of your system. That’s why our team at SERVPRO of Alexander & Caldwell Counties provides professional duct cleanings! But what sets us apart from other duct cleaning services in the Lenoir, NC area? We’re up-front about our costs, we conduct a thorough cleaning, and we walk you through the process. We believe that customers should know exactly what they should expect to spend when they call us for an HVAC cleaning. When we give a customer a quote, we give a fixed price based on the number of vents and returns the system has. Barring any unexpected issues (such as excessive mold growth in the ducts), we can give our customers a price upfront. While this might seem like the standard process, some duct cleaning companies have “hidden” fees. They might initially offer a low estimate to get their foot in the door, but they will begin adding costs once they begin the work. Be wary of companies who attempt to do this! In order to make it “Like it never even happened.” we make it a point to offer thorough cleanings. Our highly trained staff use high-powered vacuums to clean your entire HVAC system. For contaminants that don’t come free, we seal them in place to prevent them from becoming an issue. We believe it’s important that the system is fully cleaned and the customer is satisfied with the results. In some cases, duct cleaning companies will offer low prices but perform fast, less-than-satisfactory results. A good telltale sign a company is cutting corners is if they aren’t at your home or business for at least a couple of hours (though usually longer). Any decent HVAC-cleaning company will show their customers before and after pictures. After all, it’s one of the simplest ways to prove to a customer that their ducts have been properly cleaned. But we take that one step beyond. Our technicians will gladly explain the duct-cleaning process and answer any of your questions. We believe in offering friendly customer service and reassurance in our professionalism! 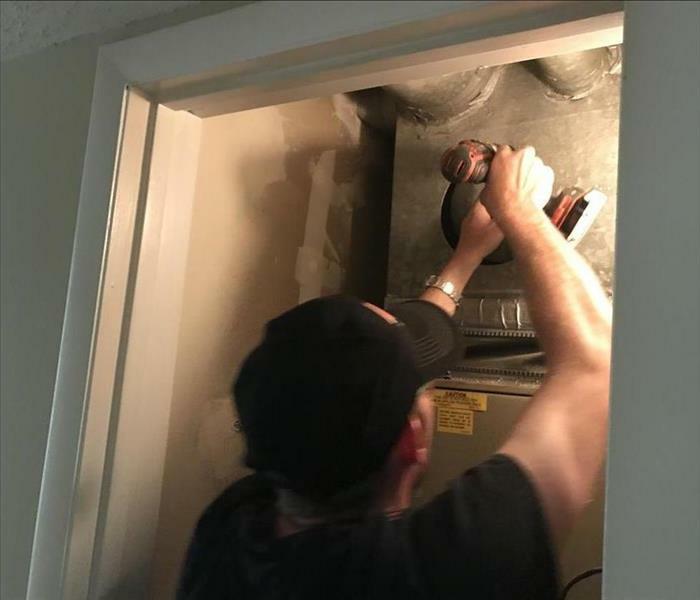 If you’re in the market for a duct cleaning, it’s important you feel you can trust the company to enter your home or business. After 10 years in the community, we believe we have the reputation and the professionalism to meet your needs. So if you’re looking for a duct cleaning service in Lenoir, NC, you can call SERVPRO of Alexander & Caldwell Counties today! Our team can respond to any size disaster, such as when we sent a team to aid with the aftermath of Hurricane Florence. There’s nothing more threatening to a business’ long-term success than a disaster. Most businesses fail to reopen after having some kind of disaster; those that do, tend to close after a brief period of time. That’s why it’s important to have the right people help you get back on your feet. If you’re undecided about which disaster restoration company to call when your business has damage, here’s our case for why it should be us. We’re celebrating 10 years of service. Our franchise came from humble beginnings, just at the height of the recession. Despite the many hurdles, we’ve continued to grow and have now served countless homes and businesses in this community for a decade. During this time, we’ve established our reputation as one of the premier disaster restoration companies in the area. We’re a Large Loss franchise. 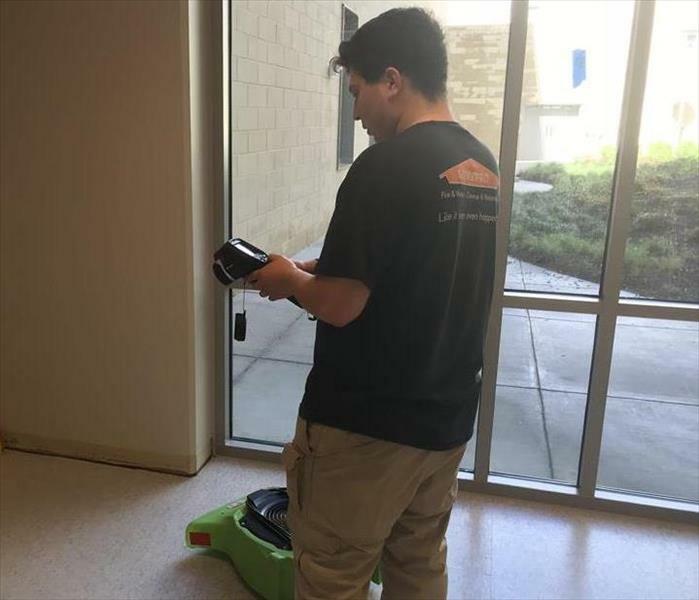 When a SERVPRO franchise meets certain requirements set by our corporate office, it becomes a Large Loss franchise. This title indicates our size and ability to handle large-scale disasters. As a Large Loss franchise, we have responded to disasters such as the fire at Lees-McRae College, the flooding at Martinsville Speedway, and the aftermath of Hurricane Florence in Wilmington. We’re truly capable of handling any size disaster! We offer a wide range of services. Even though we are known for water and fire damage cleanup and restoration, we offer services you likely won’t find at our competitors. We offer duct cleanings, odor removal, textiles cleaning, and more. Our aim is to be a one-stop shop for your disaster restoration needs. Commercial property damages are often time-sensitive and need extra attention. Fortunately, we have the experience and capacity to address both of those issues. If your commercial property has damage, call SERVPRO of Alexander & Caldwell Counties today! When temperatures drop below freezing, pipes are at risk of freezing and bursting, such as in the image above! This winter has seemed particularly brutal with its record-breaking snowstorm, below-freezing temperatures, and the occasional ice storms. These events have caused distress and induced damage on properties throughout Alexander and Caldwell Counties. While a winter storm can be disruptive, there are some things you can do to minimize the impact and endure it. Assemble an Emergency Survival Kit. You never know how long a storm could keep you cooped up, which is why it’s best to prepare for the worst. Your kit should plan for all sorts of contingencies—lack of heat, power outages, and more. You can find a helpful inventory list on the Center for Disease Control’s official website. Stay Off the Roads. In some cases, it might not be feasible to stay home, but if the roads are treacherous, it’s best to stay off the roads. If you must drive, go slow and avoid backroads. 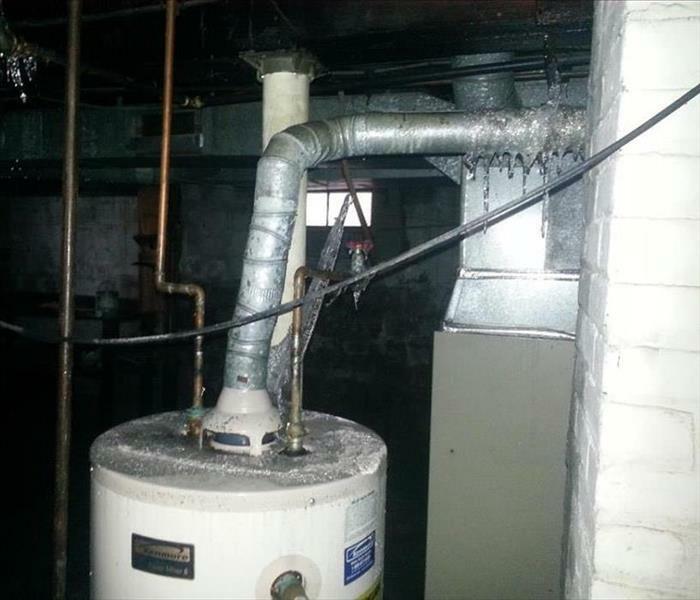 Be Wary of Frozen Pipes. When temperatures drop below freezing, exposed or poorly insulated pipes are at risk of freezing. Know how to thaw frozen pipes and be prepared to react should they burst. They’re more than just an inconvenience—they can lead to some significant damage. Although spring is approaching, weather can be relatively unpredictable. In the event of another winter storm, be sure to follow the above tips and be prepared to wait it out. But if your property sustains storm-related damage, you can call SERVPRO of Alexander & Caldwell Counties at any time! 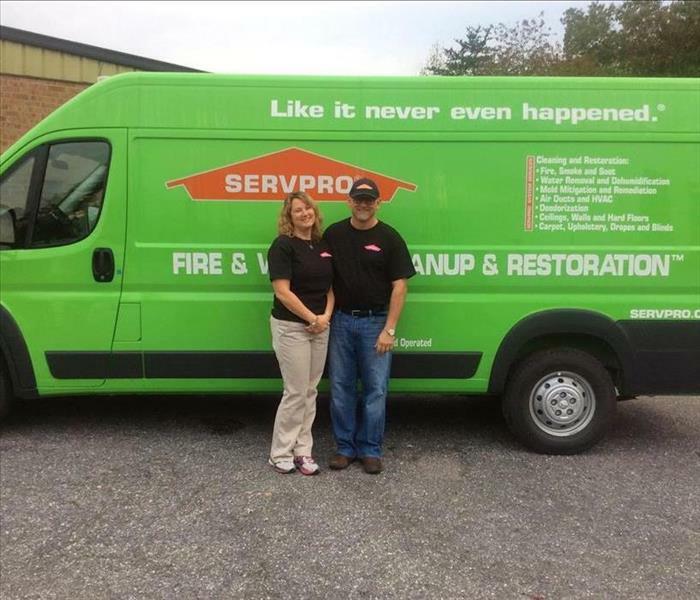 Owners Kim & Randy Williams pose in front of one of their SERVPRO vehicles—one of many they've acquired over their 10 years in business. When a business first opens its doors, there’s always a degree of uncertainty—uncertainty about success, the future, and whether or not it was the right thing to do. Owners Kim and Randy Williams had those same feelings when they decided to start their own SERVPRO franchise at the beginning of 2009. When SERVPRO of Alexander & Caldwell Counties first opened its doors, it just was them and one other employee at the height of a devastating recession. Although it was a slow start, they took every job and treated their customers with compassion and respect, and later that year, they hired another employee. Their efforts then began to take shape, and after some momentum, they had the opportunity to purchase the franchise in Burke County in 2011. A similar opportunity presented itself in 2015 when both franchises in Catawba County were up for sale. Now this year, SERVPRO of Alexander & Caldwell Counties is celebrating its 10 anniversary. After overcoming many obstacles, we have grown into a large team of around 50 employees that has the capability to respond to any size disaster. To those who have used our services in the past, we thank you for trusting us during a stressful time in your lives. And for those who are considering us, we hope we can earn your business should you ever need us. Thank you to everyone who has helped us become the business we are today. We hope to continue serving you for many years to come! A burst pipe heavily affected many walls in this room. When it was left unattended for a few months, mold colonies grew exponentially. Mold spores are everywhere—both in and out of your home. These spores aren’t often an issue, however, until they come into contact with moisture and begin to grow into colonies. Once this growth occurs, the colonies produce more spores and begin to consume the organic surfaces they reside on. Because moisture is essential for this growth, there are several places that commonly have mold growth. Window Sills. You’ve probably seen it before—moisture on your windows. As a result of condensation, water often collects along windows and drips down to the window sill. Unless this is addressed or dried consistently, it opens the opportunity for mold growth to occur. Bathtubs. Bathtubs are one of the most common places to find mold. Water—logically—is ever present, and when bathrooms are not well-ventilated, the moisture does not escape, which gives mold exactly what it needs. Location of Recent Water Damage. Water damages can occur to anyone—pipes burst, water heaters leak, toilets overflow, etc. But unless these damages are quickly addressed and properly handled, they can encourage mold growth. 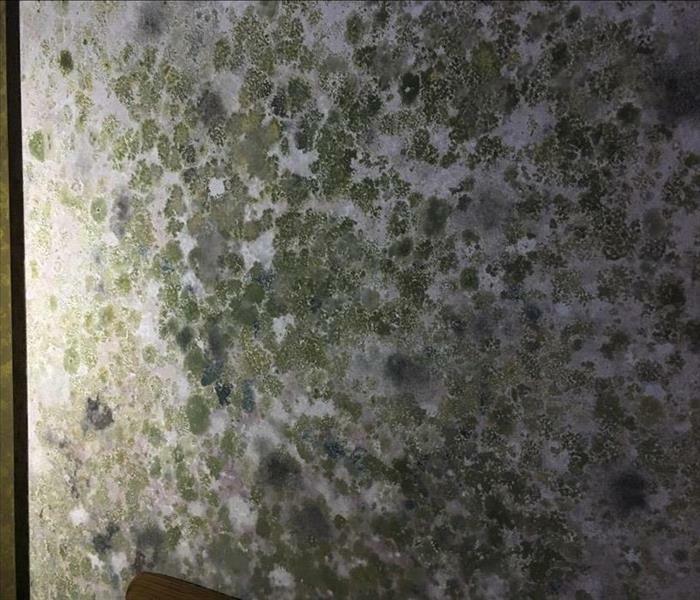 Mold growth can be concerning, but it can be quickly remediated with the help of a professional mold remediation company. If you have or suspect you have mold, call SERVPRO of Alexander & Caldwell Counties today at (828) 396-1070! One of our crew chiefs uses a moisture meter to detect moisture levels, which allows us to find hidden moisture! Water damage is both an inconvenience and a destructive force, often causing a lot of damage. Of course, it can also be expensive, even with insurance. While many would opt to clean and repair water damage on their own if they could, it’s quite the risk. That’s why we urge you to call your local water mitigation company. One of the main reasons you should have a professional disaster restoration company dry your water damage is because remaining moisture can encourage mold growth. The faster water damage is dried, the lower the odds you’ll have mold. That’s why our technicians will also apply an antimicrobial spray—to inhibit potential mold growth. Depending on where water damage occurs, it’s possible that water was absorbed or got behind materials. For example, in many instances, water will get behind walls or under flooring where it cannot be seen by the naked eye. A professional disaster restoration company, however, can use moisture meters and other specialized equipment to detect high levels of moisture and determine areas that need to dry. Water damage can disrupt lives, but by calling in professionals immediately, you can mitigate the impact it has over the long term. 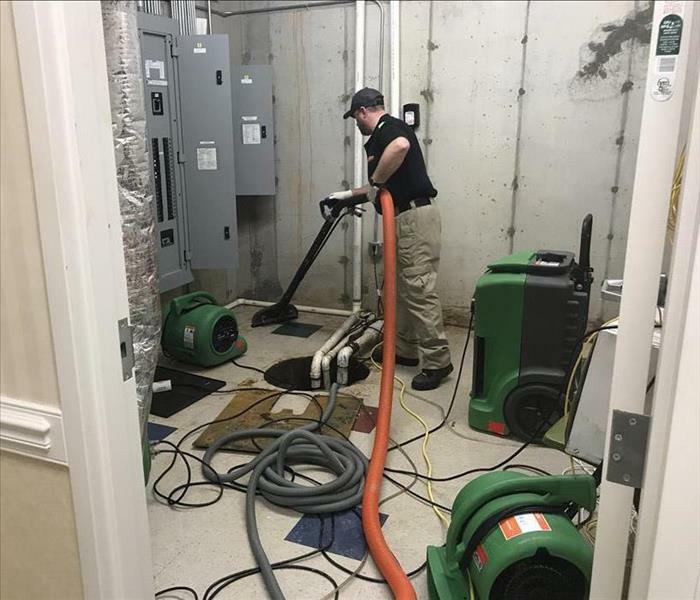 If you have water damage and live in the Lenoir, NC area, call SERVPRO of Alexander & Caldwell Counties at (828) 396-1070! Rain might be a natural part of life, but it can cause a lot of destruction! 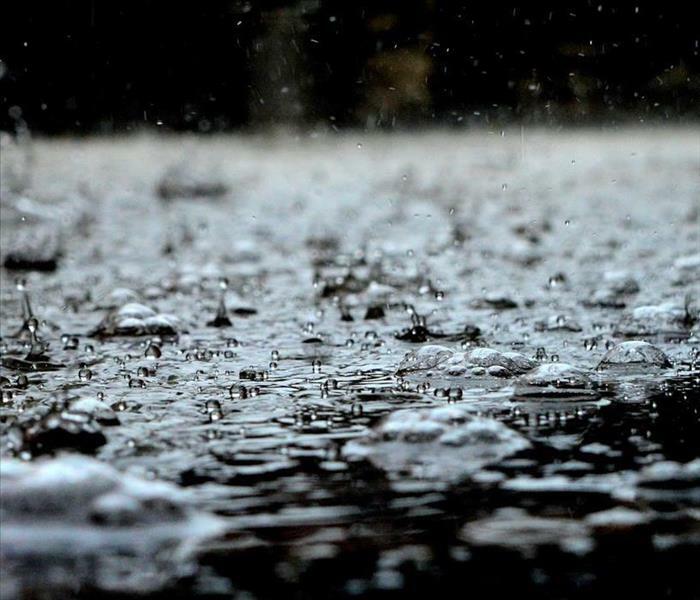 Rain happens all the time, and while it’s sometimes needed, it can also cause major damage. In fact, we often get calls from home and business owners after a rainstorm because their property has sustained flooding. Fortunately, a little preparation can prevent a lot of damage! Clean out your gutters. Your gutters are your first line of defense against flooding, but if they are not cleared, rain can overflow and become a problem. Regular cleanings will help prevent this buildup and allow your gutters to work properly. Repair any roof damage. In many instances, rainwater gets in through cracks in the roof, which creates a major problem. If you notice or know of any weaknesses in your roof, have it addressed immediately. Ensure your doors and windows are closed. This may seem like one of the most obvious steps you can take, but it’s commonly overlooked. Before a storm arrives, ensure all openings are shut so rain cannot easily enter your home or building. There are many steps you can take to prevent rain damage, but the steps above are some of the simplest. If you do have flooding from rain, we can make it “Like it never even happened” if you call us today at (828) 396-1070!